How well do Canadian financial statement reporting objectives stack up against what we are actually seeing presented to investors and creditors? In my view, International Financial Reporting Standards (IFRS) permits Canadian corporate management to report audited fictions, including the cover-up of losses. Want proof? Just review the audited financial statements of a few of our new cannabis companies. I also believe that IFRS is contributing to eroding pensions and other savings. The objective of general purpose financial reporting is to provide financial information about the reporting entity that is useful to existing and potential investors, lenders and other creditors in making decisions about providing resources to the entity. Those decisions involve buying, selling or holding equity and debt instruments, and providing or settling loans and other forms of credit. Simply stated, and easily provable, the framework’s objective does not come close to the audited financial reporting that we are seeing in a large percentage of Canadian public companies. Canada does not have an equivalent to a “Minister of White Collar Crime,” federally or provincially. Tricksters therefore have nothing to lose when oversight is absent. When multiple corrections eventually arrive, market losses will be in the multi-billions. Meanwhile, you can help yourself and family by learning how to detect some of the more popular traps. Assume that, 10 years ago, two companies were comparable in terms of market share, financing, and economic, political, environmental and other risks. Company A continued with U.S. GAAP reporting while Company B adopted IFRS. Company B’s share price is now 30 per cent higher than Company A’s, yet nothing between the two companies changed much during the past 10 years. Which company would you invest in today? Is the higher share price justified or have investors been conned? Company B has an income tax cash expense of $32 million compared to $640 million of income before income tax. How could the Canada Revenue Agency have messed up so glaringly? Actually, although some lawmakers may want to tax Company B’s $640 million, the figure is hypothetical. It is non-cash. Hence, Company B does not have the cash to pay tax on $640 million of alleged “income.” Yet Company B could receive a clean or standard form auditor’s report, apparently. In short, carefully analyze the tax expense figure in your search for financial trickery. A variation of Company B’s financial reporting involves adding a non-cash lump-sum to the $32 million tax expense cash figure, so that the discrepancy from $640 million is not so obvious. 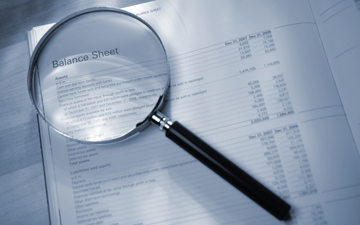 To catch the magnitude of the added non-cash item, investors have to read the “tax note” to the financial statements. It should show how much cash was actually paid to CRA. Company B’s “net asset fair value increase” is called by a variety of names. In too many cases in Canada it is wide open to management manipulation. It is non-cash based (especially for real estate companies, marijuana growers and more), but can become part of “income” under IFRS. Usually, no sale of an asset occurred, and the “value” attached to an asset is just a management estimate. Accordingly, investors can be duped for several years by an aggressive management. Excessive dividends could be the commencement of a Ponzi scheme. Additional examples are available in our book, Easy Prey Investors. For example, under IFRS, “cash flow from operations” can be bloated by including interest expense elsewhere, such as a reduction of new financing. Summed up, white-collar crime has been made much easier by IFRS, which has granted considerable unchecked power to corporate managers. It goes without saying that I urge Canadian accountants to avoid engaging in aggressive financial reporting. To provide financial information … that is useful to existing and potential investors. Dr. Al Rosen, FCA, FCMA, FCPA, CFE, CIP and Mark Rosen, MBA, CFA, CFE, provide independent, forensic accounting investment research to investment advisors and institutional portfolio managers. They are the co-authors of Easy Prey Investors: Why Broken Safety Nets Threaten Your Wealth. Learn more at Accountability Research Corporation and Rosen & Associates Limited.